Connecting with your neighbors to discuss emergency preparedness and crime prevention pays extra dividends in the friendships you make and the community spirit you build. Here’s a checklist to help you get started. 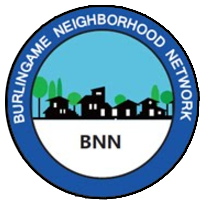 Sign up for the Burlingame Neighborhood Network’s free e-newsletter, to keep informed about events and opportunities. Click on “Subscribe” on the right. Select two or more block leaders to coordinate your group. Pick one project at a time to work on and meet with other block leaders as needed. Designate at least one block leader to meet with other block leaders at citywide Neighborhood Network meetings to share ideas and receive updated information.